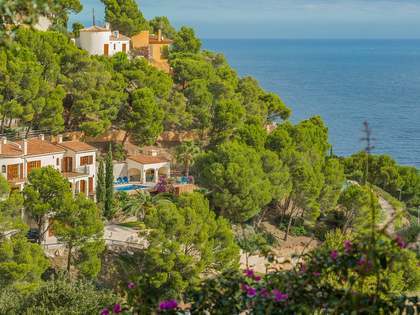 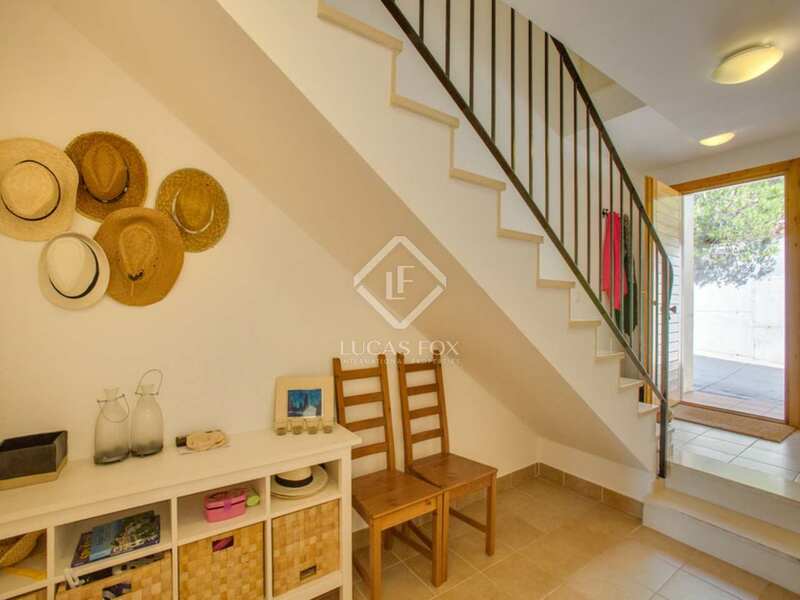 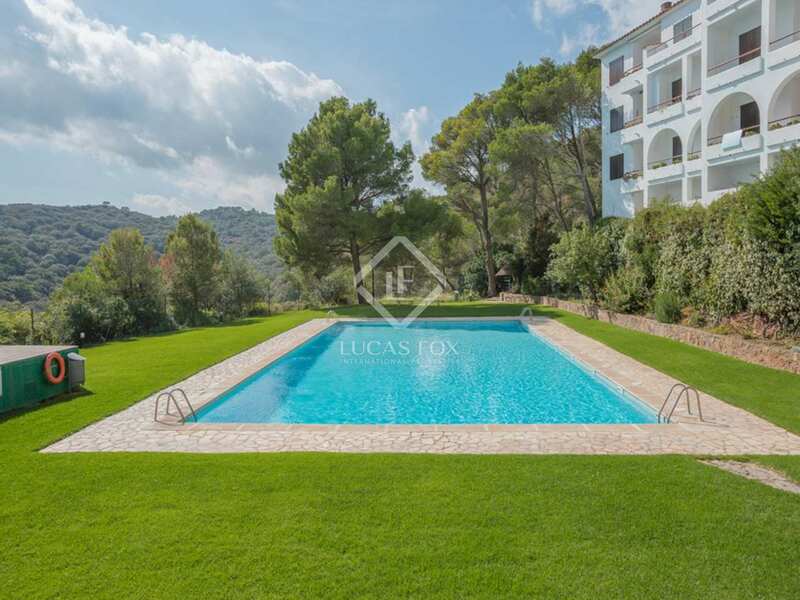 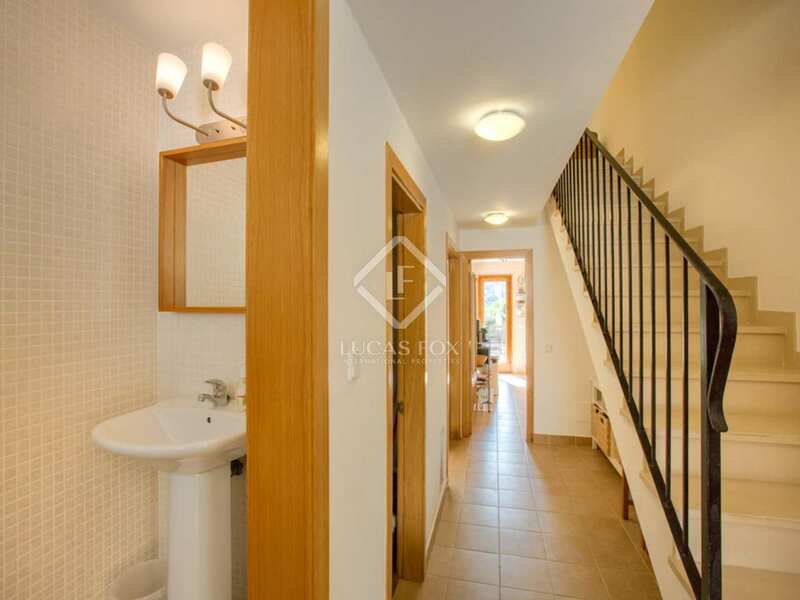 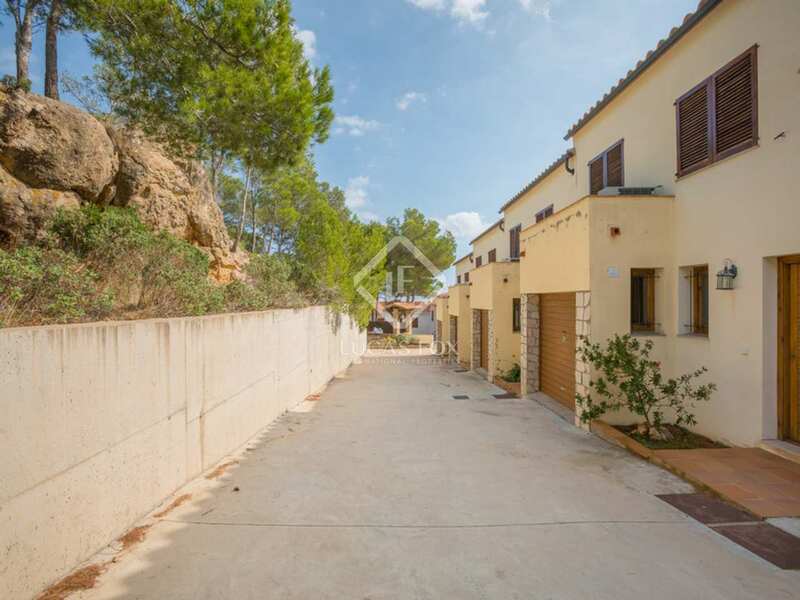 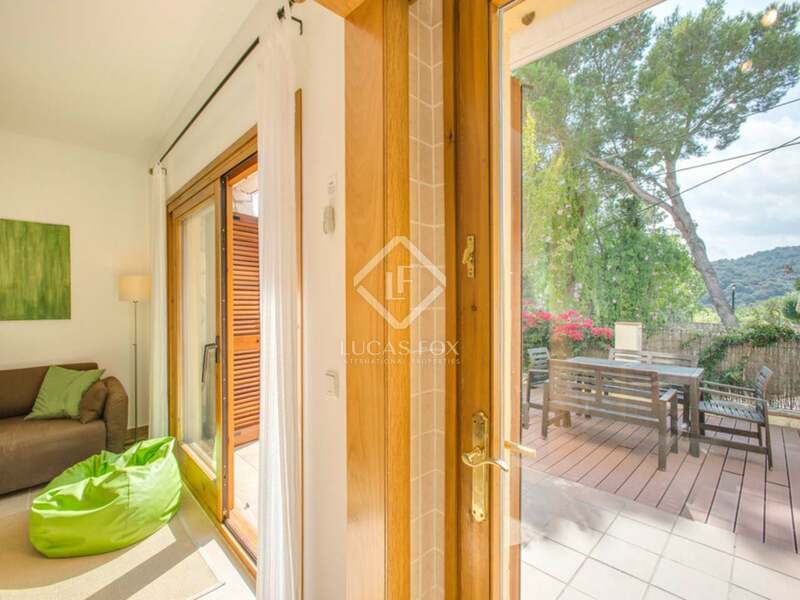 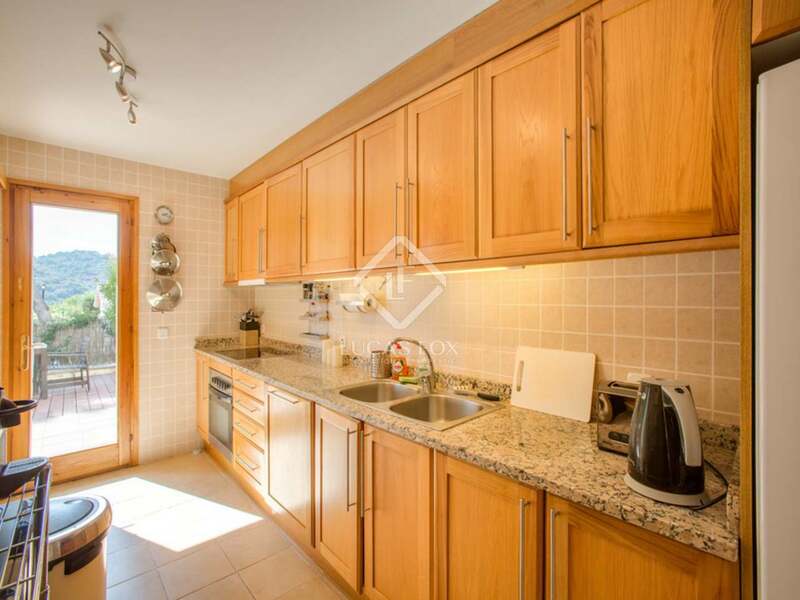 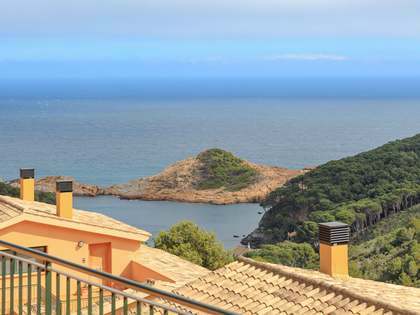 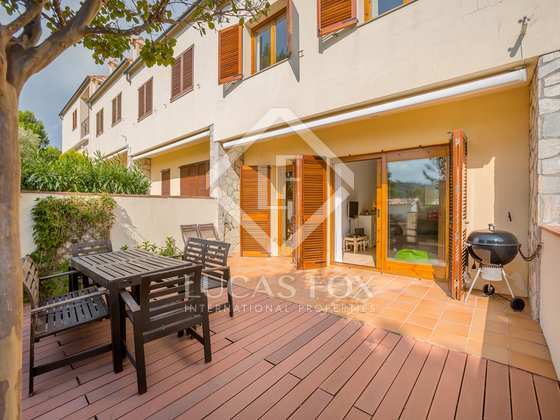 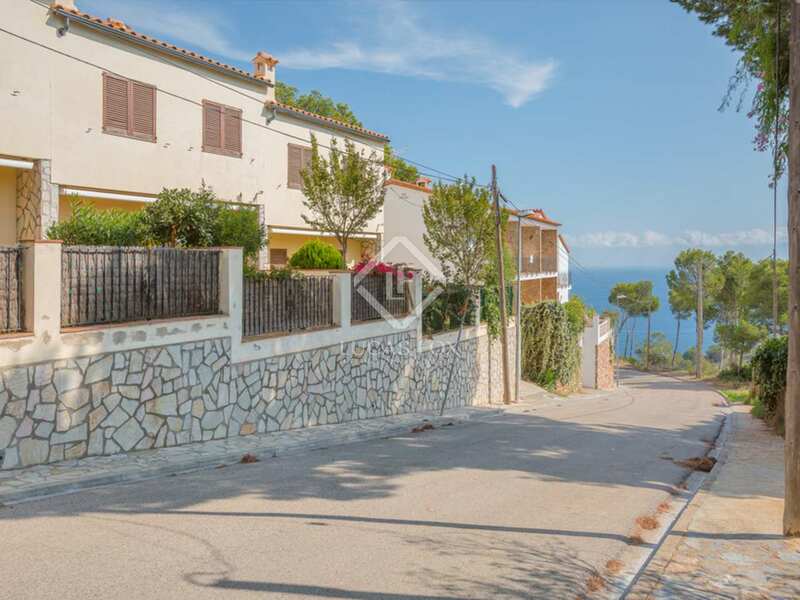 Terraced house with private garden, garage and comunal pool with sea and mountain views. 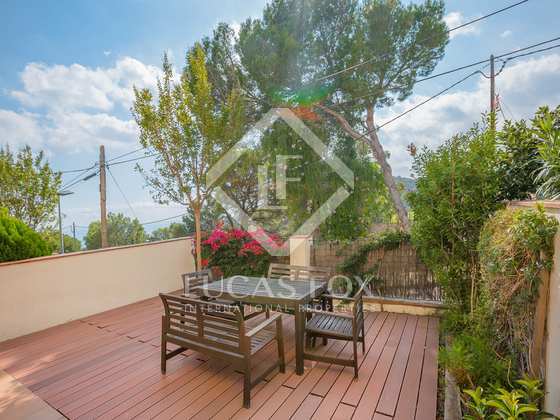 This south-west facing property has a 34 m² private patio garden as well as access to a communal garden and pool. 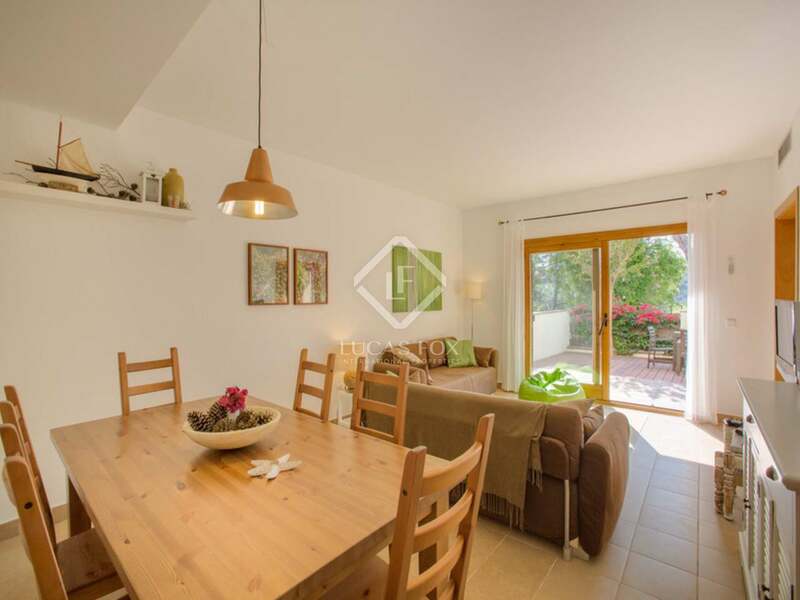 The entrance leads us to the garage and utility area to the left and then to the separate and fully equipped kitchen and living room – dining room, both with access to the garden. 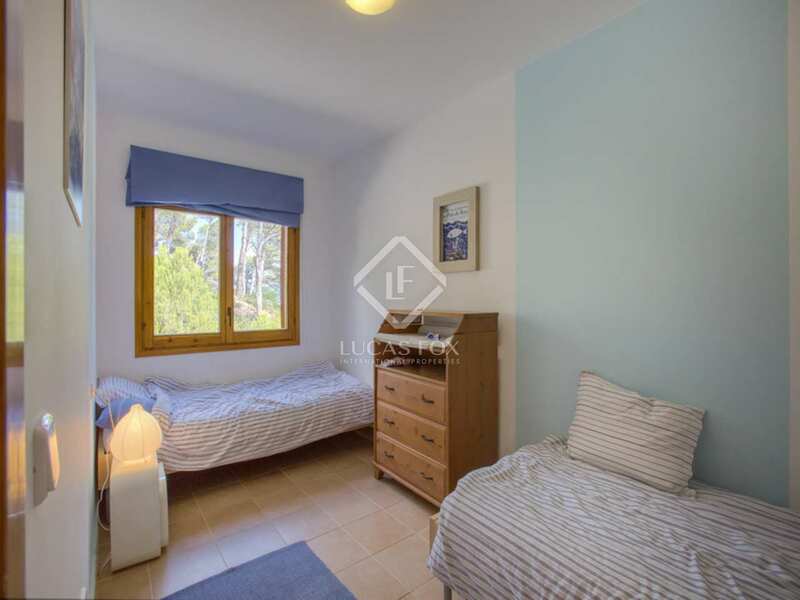 The first floor offers 4 bedrooms and 2 bathrooms, one with a shower and the other with a bath. 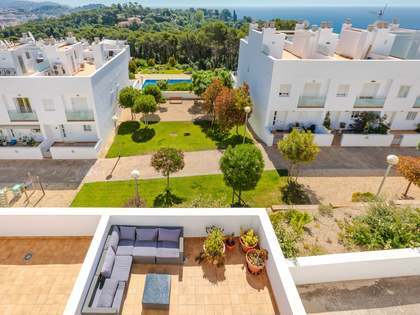 The upper floor offers side views of the sea and clear views of the lovely communal garden and swimming pool which is shared with the apartment block in front. 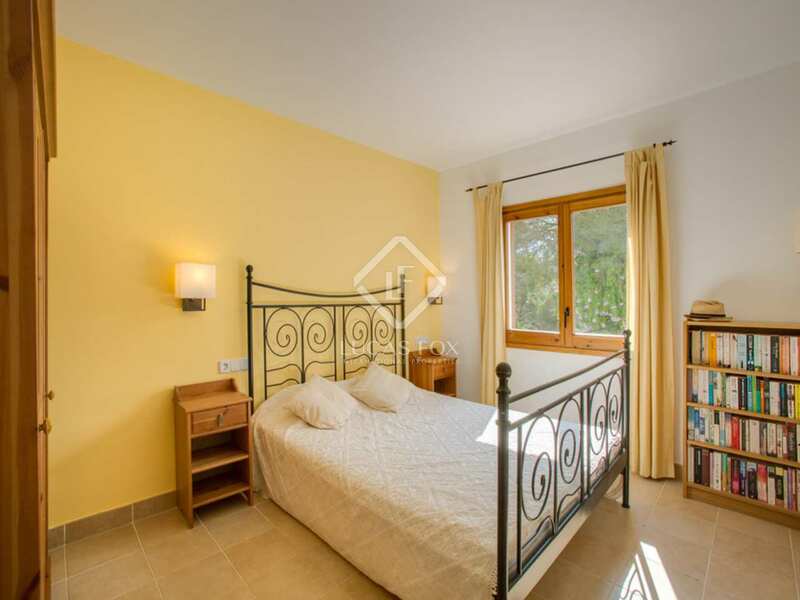 The walls and doors have all recently been painted and the house is presented in good condition. 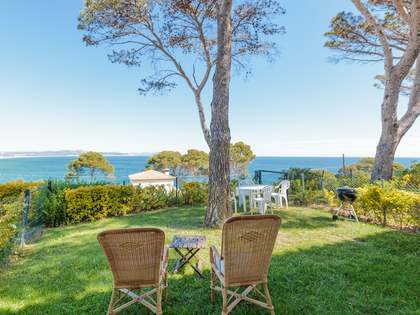 The current owners rent the house out in the high season very successfully, making this a great option for someone looking for an extra source of income. 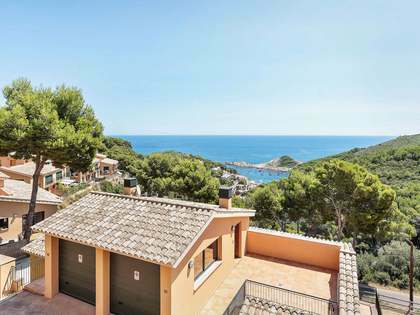 An ideal home for a family with small children or for anyone who loves the mountains and the sea.